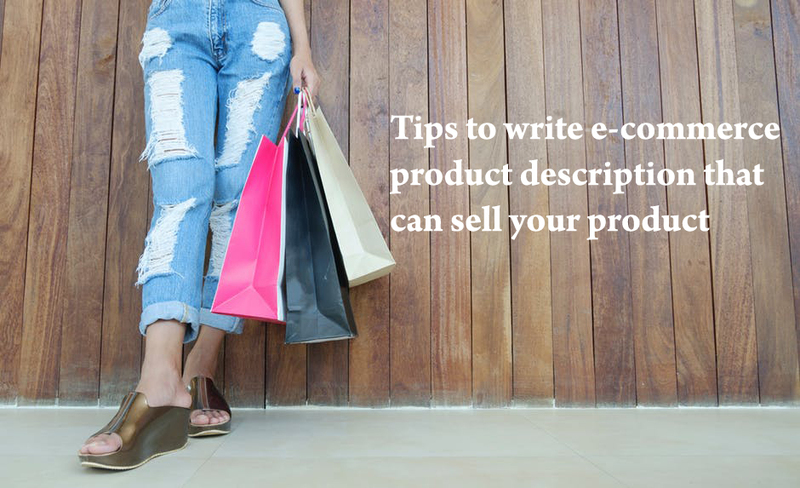 A gracefully written product description has the ability to move your potential buyers through your sales channel. By infusing ingenuity and item benefits into your item description, your store turns out to be more likely to convert the casual product surfer into a sale. While most customers settle on their buy choice looking at the item picture, the item description helps fill in the gap to decide if the item is an ideal choice for them. By instructing customers on the key advantages, extraordinary incentive, and offering a solution to an annoying issue, your item description can help drive more sales and build customer trust. The product description must be easily readable. Having precise 2-3 sentences that describe the product enables buyers to get the information fast so that they can make a purchase right away. Use bullet point to make it even easier to read. If you are selling some unique products, you could use a touch of humor in it. The description should be lighthearted and playful as people buying those kinds of products are likely to appreciate an interesting product description. But remember that humor doesn’t go down well in every niche. For an instance, you would not like humor in certain products like life jackets, or other delicate issues. So, it is imperative that you understand your target audience. Using tools like On-Page SEO Checker is the best way to optimize your product descriptions for keywords. You will need to utilize relevant keywords for a particular product. For an instance, let’s say you deal in makeup brushes; you have to be precise like ‘round eye shadow brush’ or ‘fan-shaped highlighter brush’. The story could include why your potential buyer must have this product to resolve a particular issue. Or it may include the product benefits that draw your buyers in. Make sure you A/B test your item descriptions. Try different lengths, formats, words, etc. A/B testing the product descriptions will enable you to make your Amazon product page better in order to boost conversions. Spell check your product description to make sure there’re no grammatical mistakes. You can utilize speck-check tools to steer clear of spelling mistakes. Ensure that buyers have the facts they have to know purchase a product. For an instance, if you are offering clothing items, size chart and material specs can assist customers in buying that item. In the event that you offer phones, you will need to guarantee you list every single specs of the phone. Think about your buyers. Think how you can make her/his life easier, more pleasurable or richer. Stop writing vague statements. That is how you entice your customer to purchase your product.